Extended warranty company Square Trade asked MMA fighter Luke Rockhold to test the Apple iPhone 6, Apple iPhone 6 Plus, Apple iPhone 6s and Apple iPhone 6s Plus in an effort to determine if Apple has improved the build quality of the new iPhones. Keep in mind that this is about as unscientific as a test can be. To test the glass on all four handsets, the iPhones were put through the "Rockhold Roundhouse Kick Test." 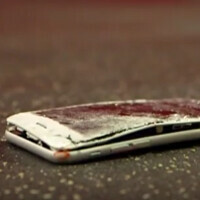 The name of the test speaks for itself, and each kick drove an iPhone into a wall where it would take a beating, and crumple to the floor as a broken pile of electronics. The result? According to the boxer himself, the new iPhone 6s and iPhone 6s Plus "are tougher, but not that tough." In a nod to #bendgate, the last test was called the "Rockhold submission bend test" and it consisted of the fighter trying to bend the iPhone 6 Plus and the iPhone 6s Plus. The former was bent and destroyed in seconds. The latter, sporting the stronger series 7000 aluminum, was harder to bend and even Luke thought so. "That was tough," he exclaimed, after it took every ounce of his energy to snap the new model. Considering that the chances of your new iPhone getting destroyed by a MMA fighter are slim, most iPhone owners aren't going to feel the need to extend their warranty just from watching this ad. Perhaps Square Trade figured that seeing an iPhone 6s or iPhone 6s Plus destroyed would shake up current owners of the device so much, that they would rush to the phone to call them. Here's another idea Square Trade: Instead of destroying perfectly good iPhones in an unscientific and unnecessary test, howabout donating some to surivors of domestic violence that have no resources? I can't post the links but programs like National Coalition for Domestic Violence and HopeLine are really solid. Calm down social justice warrior. This isn't facebook, you don't have to show off how benevolent you are or appease the liberal machine for likes. Looks like the weak spot is still around the volume buttons, which again wasn't tested in the formal bend tests from Squaretrade and the likes. The iPhone 6 would already bend at 40 lbs when force was applied to that weak spot rather than the center. I'm sure the numbers for the weak spot would be nowhere near the 170-190 lbs that have surfaced sofar. Starving African cannibals could have eaten that MMA fighter. I'd bet on Rockhold vs 10 starving Somalians who have had their homes bombed and destroyed by US drones launched out of Germany. Look at the Web Browsing score. 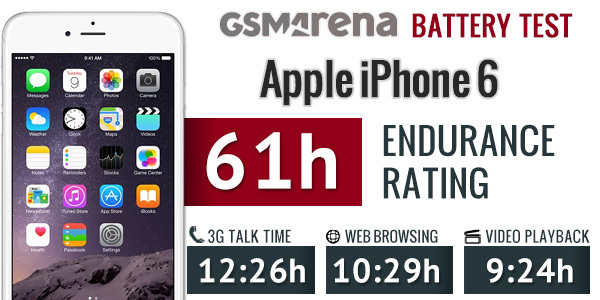 12 Hours 27 Minutes browsing the web out of a 1700 mah battery is UNBELIEVABLE. Quite stupid if you ask me. I don't care if your tong po with feet of steel, you can seriously injure yourself kicking a metallic object.